When you become an affiliate, you’ll get a referral link that is unique to you, something like https://www.e-junkie.com/ecom/gb.php?cl=...&c=...&aff=.... You can put this link anywhere in your website to recommend the book and redirect your visitors to the Java Certification Roadmap website. The Java Certification Roadmap affiliate program works with E-junkie (selling system) and PayPal (payment system), so in order to get your commissions you need to have an account on both platforms. Click on the button below to go to E-junkie and sign up for the program. The process is pretty simple: log into your existing E-junkie account (or register for a new account if you don't have one) and then type the PayPal email where you want to receive commission payments. For more details, you can find comprehensive instructions from the E-junkie guys here. Once you’ve signed up, go to your E-junkie Affiliate Admin panel, where you can obtain the affiliate link (Common Hop Link) for the Java Certification Roadmap book. By becoming an affiliate, you agree to the following Affiliate Program Terms. Effective date: May 8, 2016. When we say 'you' in these Affiliate Program Terms we are referring to you, the affiliate. 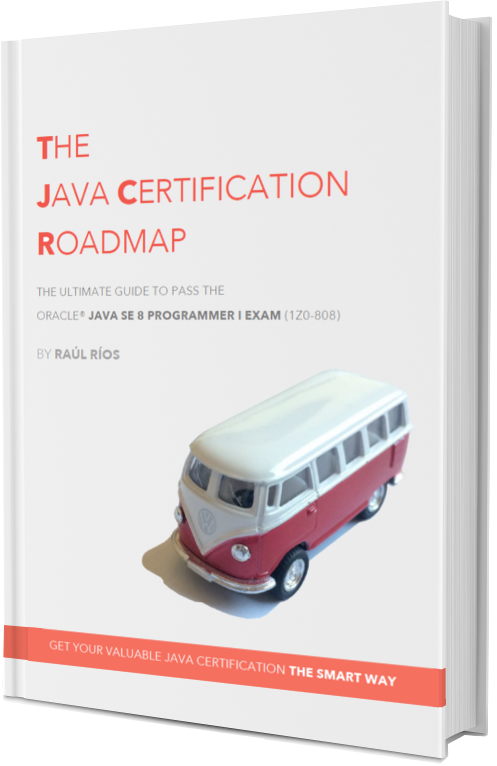 The Java Certification Roadmap affiliate system is free for you to use at no charge. The Java Certification Roadmap won’t require payment of any kind of fee for anyone to join or participate in its affiliate program. You will get an email notification from E-junkie every time one of your referrals generates a sale. You can also view referrals that generated a sale by logging into your E-junkie account and going to Affiliate Admin > Earnings Report. You’ll get paid out commissions via PayPal on a monthly lump-sum basis sometime in the month after the completed calendar month when commissions were earned (e.g., commission earnings for sales in January would be paid out sometime in February). Make sure you have entered your PayPal email in your E-junkie account (Affiliate Admin > Edit Profile), so the Java Certification Roadmap will be able to pay you easily. Commission rate is 30% but it can be increased for highly productive affiliates. Thank you for becoming an affiliate. If you have any question, please contact me and I’ll be pleased to help you.